Nothing is safer or easier to use for purifying the most demanding backcountry water sources than the Guardian purifier. Originally designed for military squads, it brings this highly advanced technology to global travelers, backcountry users, and those stocking emergency kits. Nothing is safer or easier to use for purifying the most demanding backcountry water sources than the Guardian purifier. Originally designed for military squads, it brings this highly advanced technology to global travelers, backcountry users, and those stocking emergency kits. 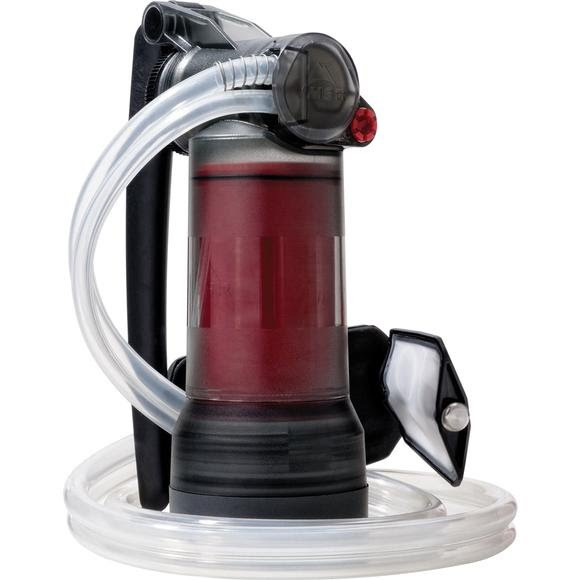 Fast and easy to use, this MSR pump purifier offers the added viral protection you need when traveling in developing nations and popular wilderness areas. Its advanced hollow fiber filter offers the most reliable way to purify even filthy water conditions. Add its long-lasting performance and revolutionary self-cleaning ease, and this may be the only treatment device you&apos;ll ever need.